June, 2015 | Paradise Cove | Grapevine Southlake Dallas Fort Worth Weddings, Events, Parties, Galas, Banquets and more. Paradise Cove provides luxury outdoor wedding venues in DFW, overlooking Grapevine Lake. A bridal shower is a fun way of helping a young couple to start out a new life by presenting them with items for the household. Bridal showers require planning and work, and may be a bit overwhelming if you have never hosted one before. The following tips and bridal shower etiquette can assist the host to simplify planning. Typically, the maid of honor or matron of honor will host the bridal shower, as long as she is not a relative of the bride. Generally, the mothers of the bride and groom do not host the bridal shower, nor are they involved in its planning. It is acceptable for them to participate in the shower itself, such as keeping a record of the gifts. Invite members of the wedding party, mothers, and sisters of the bride and groom, and up to 15 of the bride’s closest friends. A bridal shower should not be large, as the bride’s friends are hosting. Do not invite anyone to the shower that you will not invite to the wedding. Multiple showers are acceptable, hosted by different friends of the bride. However, do not invite a guest to more than one shower, without making it clear they will only purchase one gift. When Should Invitations Be Mailed? Mail shower invitations 4 to 6 weeks before the wedding. What should you include on the invitations? The bridal registry information may be included on an enclosed insert, however, not on the shower invitation itself. Food and beverages will depend upon the time of day. There is no rule that you must provide the standard fare of finger sandwiches. It is perfectly acceptable to provide food that you know guests will enjoy. Food can be adapted to suit the theme, and the guest list. Open gifts after desert near the end of the shower. In this type of shower, gifts are for a kitchen. Items such as cooking utensils, recipe books, toaster oven, microwave, glasses, and kitchen linens are useful gifts for newlyweds. The number and variety to select from are wide. Gifts such as floral or pine-scented candles, silk flowers, outdoor equipment, gardening tools, woven baskets, pottery, and gift cards from the bride’s favorite garden supply or outdoor store, for example. 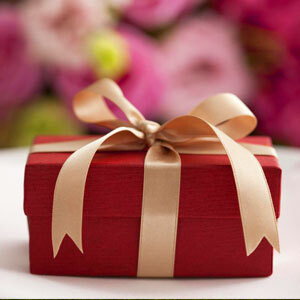 Ensure gift certificates are for locations listed on the gift registry. Lying on the shores of Lake Grapevine, Paradise Cove provides the area’s most luxurious outdoor wedding venues in DFW. Beauty surrounds the wedding venue from the stone gazebo to the old oak tree. Beauty predominates here, in a setting of blue sky and the diamond like glistening of Lake Grapevine. It is a fitting place of ceremony in the wonder of a young couple in love, joining hearts and minds in the ancient ceremony of marriage, to stand where flowers bloom while beauty smiles upon their union in Paradise Cove’s outdoor wedding venues in DFW. Whether your wedding is on the patio among the flowers, before the indoor stone fireplace, or in the gazebo by the blue lake waters, you will find the place for a joining of hearts in our outdoor wedding venues in DFW. After your wedding, you will enjoy your wedding reception by the fireplace, or on the patio gardens with an elegant dinner in our outdoor wedding venues in DFW. If you are looking for a special place to host your special day, give us a call, take the tour, and make your selections. We will handle the details while you dream, and prepare to be your most beautiful in Paradise Cove’s majestic outdoor wedding venues in DFW. We hope you find our guide to bridal shower etiquette useful. Paradise Cove provides luxury outdoor wedding venues in Dallas surrounded by beautifully landscaped grounds and sparkling Lake Grapevine. We only schedule one event per day, in order to focus our services and attention on one event at a time. The following can provide assistance in writing your wedding vows for a memorable wedding ceremony. In today’s weddings, couples often prefer to write their own vows for a personalized ceremony. 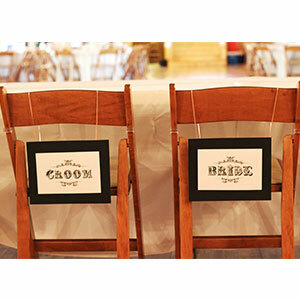 Speaking from the heart and telling your story as a couple guarantees guests will focus on the ceremony. Begin composing your vows at least one to two months before the scheduled wedding. Consider how you fell in love, what you admire about your fiancé, the milestones in your romance, and the hopes and dreams of a bright future together as a couple. The goal is to have wedding vows meaningful to you both. Reflecting on why you have chosen to marry this man or woman, and what you love most about them, will form the basis of the vows. Now that your emotions and inspiration are on paper, consider traditional vows to incorporate. Couples often substitute the somber “‘til death do us part” with “for all the days of my life”, or “for as long as we both shall live,” and “as long as love shall live,” for example. After the recital of the marriage vows, the exchange of wedding bands declares the sealing of the union. The “ring vows” are short, typically one or two sentences. “With this ring, I thee wed” is universally recognized, though couples often select other messages: “With this ring comes the symbol of infinity and our love, a circle unbroken joined together as one, forever,” for instance. Remember, this will provide the line signaling the best man it is time for the exchange of rings. Rehearse your wedding vows a few days prior to the actual wedding in Paradise Cove’s outdoor wedding venues in Dallas. During the ceremony, speak slowly, and ensure eye contact to show your sincerity, love, and devotion and that you mean every single word. Even after memorizing your vows, have a copy in case you forget a phrase or need prompting. To obtain further information, schedule a tour or wedding among the splendor and beauty of Paradise Cove’s outdoor wedding venues in Dallas, contact our friendly staff. Our knowledgeable staff specializes in providing luxury weddings and an indoor wedding reception in Paradise Cove’s outdoor wedding venues in Dallas. We hope this guide on writing your wedding vows was informative and helpful. Contact us to learn how Paradise Cove’s outdoor wedding venues in Dallas can provide the wedding you dream of. Paradise Cove offers luxurious outdoor wedding venues in Fort Worth. You probably spent a great deal of time selecting your wedding dress. Have you considered what you will do with it once the honeymoon is over? The following ideas may provide new life for the wedding dress you waited a lifetime to wear. Donation provides a popular second life for a wedding dress. Donating your dress allows another brides dream to come true. Furthermore, organizations are plentiful for donated wedding dresses. Create a custom craft surrounded by memories. A piece of the lace, beadwork, or unique details will create a romantic background for a favorite wedding picture. When the little ones start coming, the lace will make a charming background for their first photograph. Turn your dress into elegant baby pillows for the children, and grandchildren to come. Grandmothers past often incorporated pieces of their wedding dress in quilts for their children and grandchildren. Have the wedding gown professionally sealed for preservation. Brides often save their dresses for their daughter’s wedding. However, just remember how carefully you selected it, and accept it if she wants her own. Use the lace to create christening gowns for your future little ones. It is certain to become a family heirloom. The skirt will create an elegant tablecloth and/or napkins. A wedding dress creates an elegant and romantic baby bassinet. Remake it into a cocktail dress. Craft it into a Hope quilt. A Hope quilt sells through a raffle or at auction, with the proceeds benefitting Children’s Hospitals, St. Jude’s, Cancer Treatment Centers, and other similar charities. It is a lovely idea, and keeps the love going forward. It is unfortunate, though true, a wedding dress is a one-time use item. With a little thought, you can find it a new home, or repurpose it. As beautiful as your wedding dress is, finding a second life for it provides a worthwhile project. As your wedding day approaches, visit Paradise Cove’s outdoor wedding venues in Fort Worth, where luxury is defined. Paradise Cove provides luxury outdoor wedding venues in Fort Worth for your special day. Contact us for a personal tour, to book your wedding, or for any questions. We will provide a tour and discuss our various options with you. The staff of Paradise Cove looks forward to meeting you. When it comes to your wedding registry, there are numerous options available, from traditional department stores to online options. The wedding registry is but one of the many tasks involved in planning the wedding of your dreams. From the skillful staff, to the natural opulence of its setting beneath a blue Texas sky, Paradise Cove is foremost among outdoor wedding venues in Dallas. Furthermore, our outdoor wedding venues in Dallas is a short drive from numerous recreational activities for guests such as boating, camping, fishing, parks, and trails. An online registry is convenient for both you and your guests. You can add or delete items from your registry list at any time, and view the items guests have selected for purchase. This provides guests the convenience of shopping from home, and is especially beneficial for those who are out of state. 2. 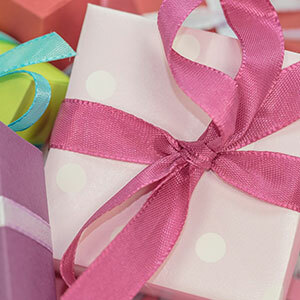 Have your wedding registry complete at least a month before your bridal shower and wedding. This will prevent the rush to create a last minute registry. 3. Add an insert to your invitation with driving directions, local hotel information for those arriving from out of town and weekend activities. An insert is convenient for including links to your wedding registry. Ensure you include the name on the registry so your guests are able to find it. 4. Though new to the U.S., funding sites are becoming popular for cash donations to help with the honeymoon, in lieu of gifts. 5. Send thank you notes as soon as possible after receiving a gift. Etiquette allows you a year to send them, just as it allows guests a year to send gifts, though doing so quickly shows how much you appreciate the gift and their thoughtfulness. If a guest is responsible for both a shower and a separate wedding gift, you can send a single note as long as you mention both gifts specifically. 1. Do not register for high-cost items only, as not all guests can afford them. Include both moderate and lower priced items. While you are likely to have family members who are generous with a gift, a guest may live on a single fixed income. Keep your guests in mind as you prepare your wedding registry. Guests who come to your outdoor wedding venues in Dallas with regret that their gift was not anything you have listed, will not enjoy it as much. However, if you already have the low cost items such as towels, cups, and bowls, it is acceptable to list costly items such as a sofa or dining room set. You can suggest guests go in together to purchase it, or set up a fund for cash donations. 2. Requesting money is not appropriate. A registry with items composed of predominately low and moderate cost items, and a small list of high-ticket items will ensure gifts for every budget. Be sure to include items from walk-in retailers as well. 3. Your wedding registry needs to be available at least a month before your shower and wedding, and even earlier is better. 4. Do not include personal items such as handbags, or perfume is not acceptable wedding etiquette. 5. Do not overdo it. Stay on the priorities of what you really need, want and will use. This will reduce the chance of getting a gift you will not use. 6. Do not add registry information on the wedding invitation, doing so is bad wedding etiquette. An insert is acceptable by most standards, but never on the invitation itself. Overlooking the sparkling waters of Lake Grapevine, Paradise Cove provides spectacular outdoor wedding venues in Dallas for the first day of the rest of your life. From the landscaped grounds and gazebo, to the indoor reception hall and its massive stone fireplace, Paradise Cove will provide the magical beauty every bride desires for her special day. Give us a call to schedule a tour, and let us show you how special your wedding can be, in the breathtaking setting of Paradise Cove’s outdoor wedding venues in Dallas. Our dedicated staff will handle the details ensuring your wedding fulfills your dreams, when you select Paradise Cove for your outdoor wedding venues in Dallas. Please contact us or visit our wedding pages for further details on Paradise Cove’s outdoor wedding venues in Dallas. We hope you found our guide for your wedding registry helpful, and look forward to meeting you.